Hello from Southern Utah! We left on Wednesday around noon and stayed overnight on the road. Had some spicy Buffalo chicken wings at Chili’s for dinner. Tonight’s dinner is the vegetarian dinner we were supposed to have Tuesday. I know we just had this recently but when the asparagus is in season you just have to go for it. It is already creeping back up in price. While the water is heating up for the pasta I saute onions and garlic and cut up the asparagus into penne shaped pieces. In the last minute of pasta I add the stalks to the water and then sauté the penne, stalks, onions, garlic, and the asparagus tips with some of the pasta water. If you like, add some Parmesan. 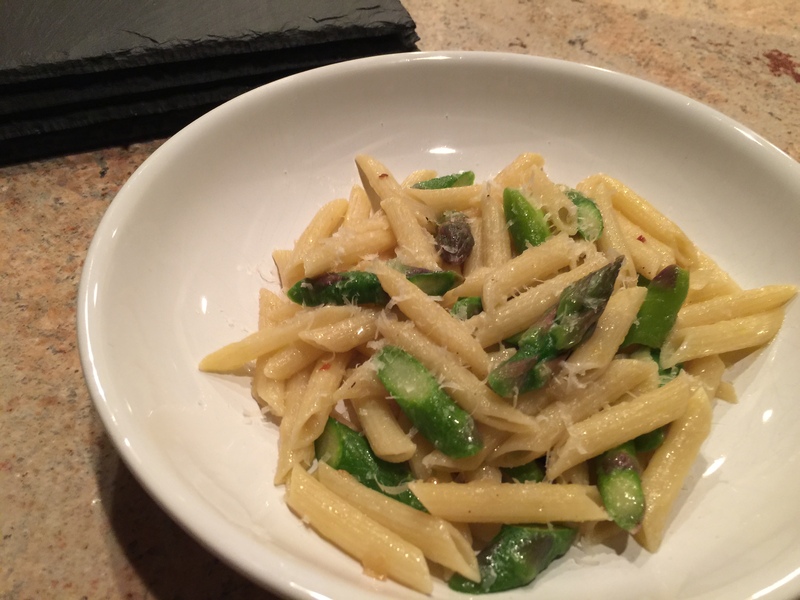 This entry was posted in Pasta, Vegan, Vegetables, Vegetarian and tagged asparagus, garlic, Onions, pasta, penne, Vegan, Vegetables, vegetarian. Bookmark the permalink.